Sometimes it's the simple old fashioned things that are the most interesting. 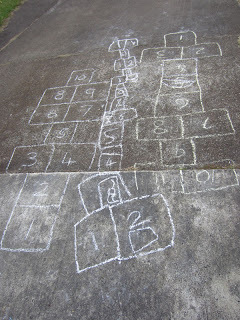 Miss 3 was dancing this week, doing jumping and hopping, and it made me think of hopscotch. 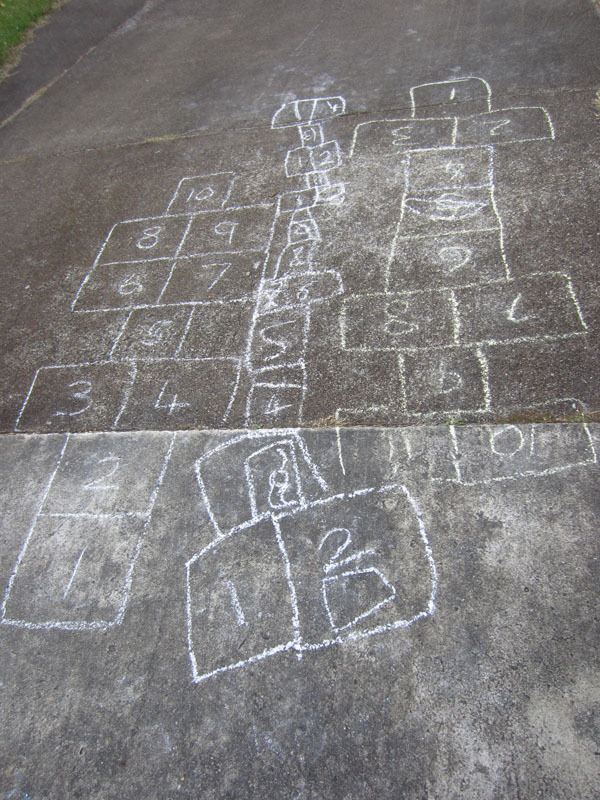 I quickly drew up a couple of tracks, and the kids loved it. Mr 4 immediately wanted to draw his own, and both kids jumped and counted the afternoon away.